The United States Department of labor announce robust Healthcare employment growth on March 5th 2019. 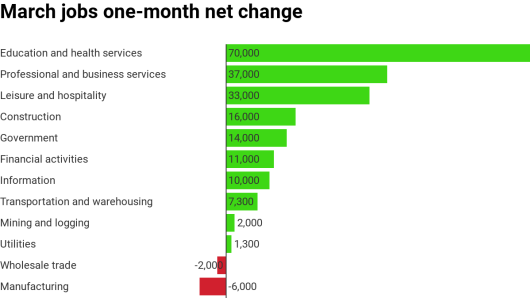 Health care added 49,000 jobs in March 2019 and 398,000 over the past 12 months. Over the month, employment increased in ambulatory health care services (+27,000), hospitals (+14,000), and nursing and residential care facilities (+9,000). These job numbers are an increase from the 20,800 jobs the industry added in February 2019 and 41,600 jobs added in January 2019. Hospital Placed Media continues to become more valuable as both hospital employment and healthcare usage continues to skyrocket. Innovare’s digital advertising, utilizing high-end Mobile Charging Stations and Charging bars, are ideal for businesses who are looking to promote locally. This targeting advertising is growing nationwide and becoming a hot niche platform.